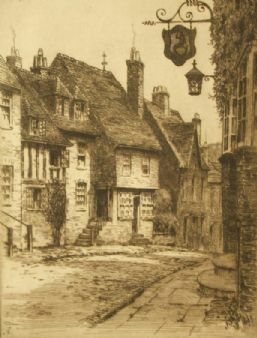 Reginald Green 1884-1971; English etcher of landscapes and architectural views. 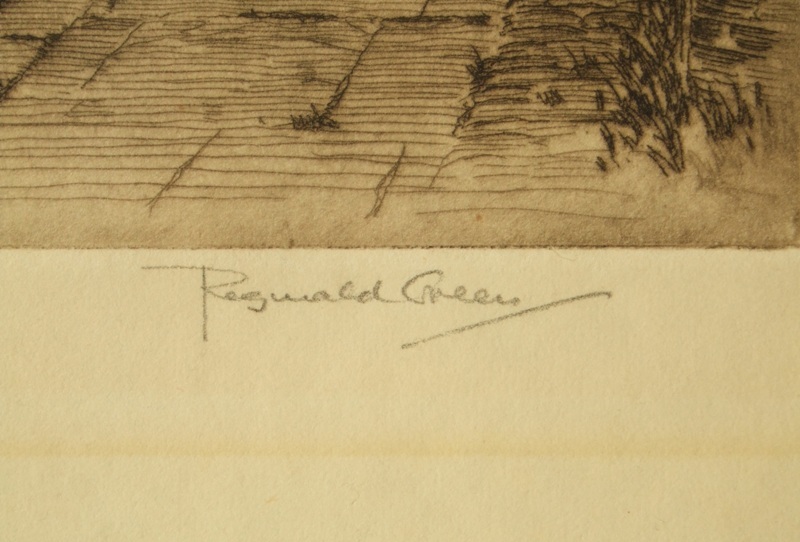 Green was made an Associate member of the Royal Society of Painter-Etchers (A.R.E. ),and had exhibited works at the Brook Street Gallery, Connell and Sons Gallery, at the Walker Art Gallery, Liverpool, the Royal Academy, Royal Society of Painter-Etchers, the Redfern Gallery and at the Royal Hibernian Academy. 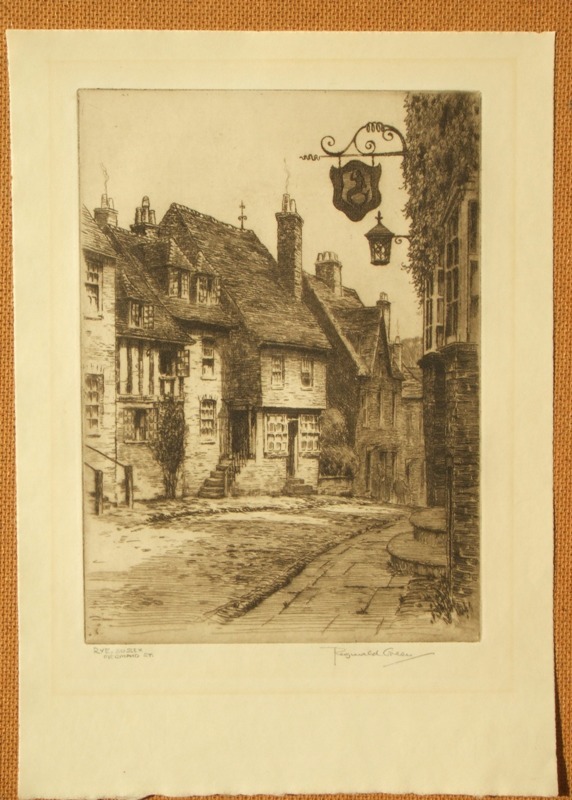 An excellent etching, which is sharp, bright and unfaded with fine dark brown intaglio ink lines, and plate toning, the image measures 15 cms. x 21 cms. (6 x 8 ins.) 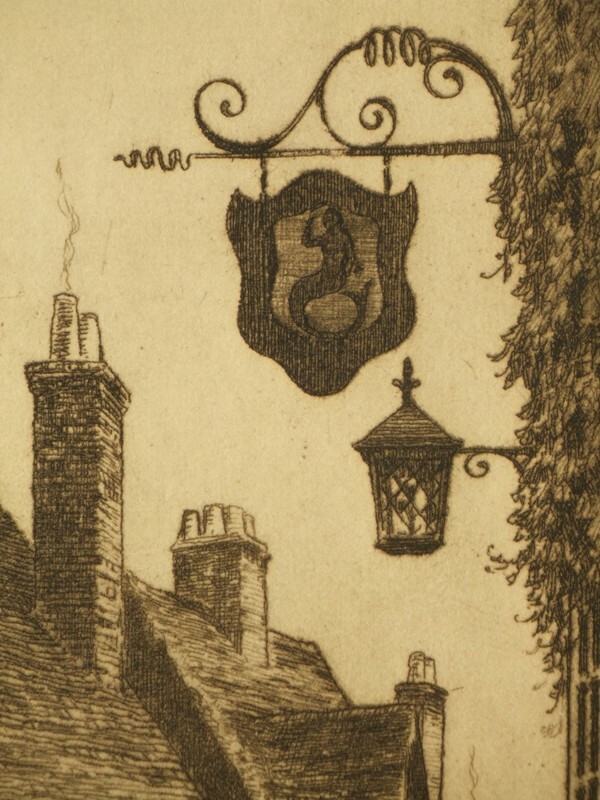 within a fine but evident plate mark and impression. 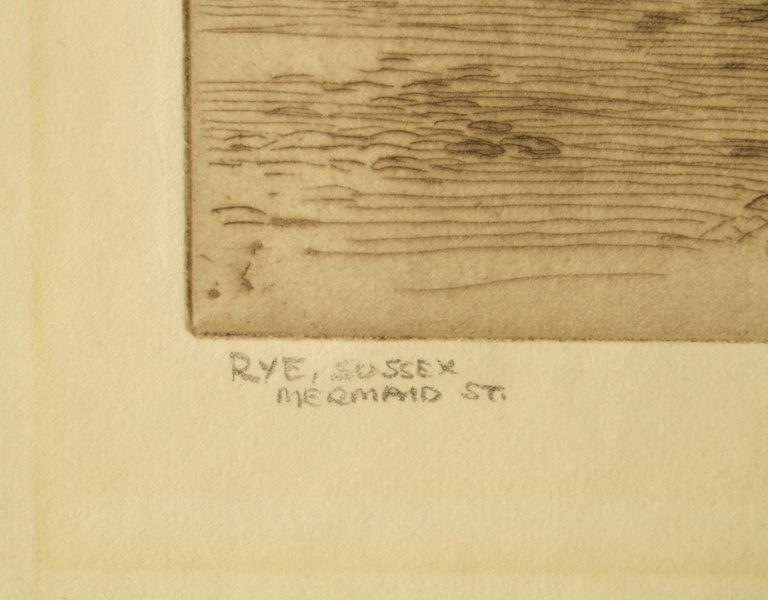 Signed and titled in pencil beneath the image. 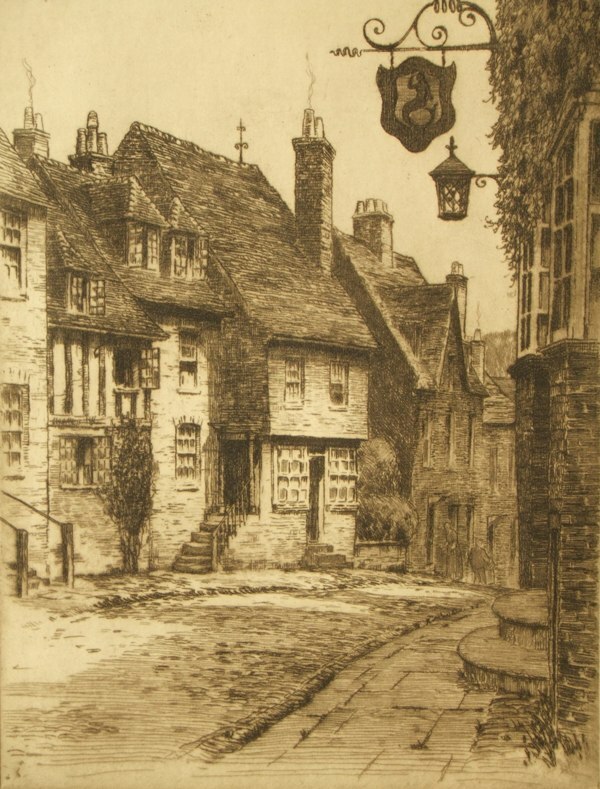 Unframed and unmounted, the condition of the image and sheet is very good, with a toing to a previous mat window and handling marks condusive with age.